Although Oregon Walks advocates for safe streets state-wide, it focuses its attention in Portland and the neglected communities in the city. So, Oregon Walks gets out on the streets. The staff and volunteers talk with local residents to get their feedback on problems in their communities. They walk with students on their way to school. However, Oregon Walks also advocates for legislation to build safe walking infrastructure. In fact, the group was very involved in getting the City of Portland to adopt Vision Zero. Inna and Noel explained that Vision Zero sets the goal of reaching zero traffic fatalities by 2025. Wow! Wouldn’t that be incredible? Also, Oregon Walks has partnered with the Portland Bureau of Transportation (PBOT) to create safe routes to school. Sadly, many school children in Portland have no safe way to walk to school. This program aims to change that. 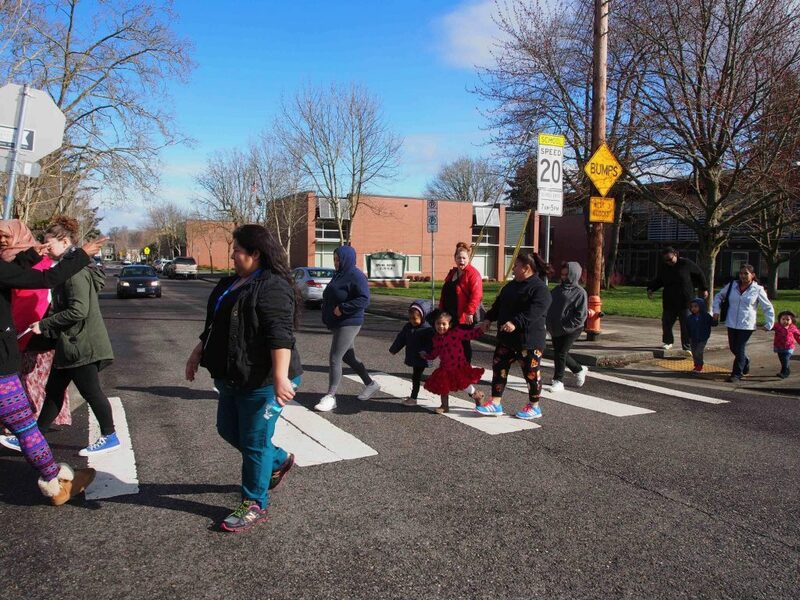 Oregon Walks hosts school walks, where volunteers and staff walk to school with the students. After they select a particular school district with known safety issues, they start walking and talking to the people who live there. Inna and Noel tell me that each school district faces different hurdles. Apparently, some districts lack sidewalks while others need more traffic signals. With the feedback they’ve gathered from the community, Oregon Walks proposes solutions. First, they draw out the walking routes to school. Then, they might suggest additional traffic signals, one-way streets or lower speed limits to improve walkability. Unfortunately, unsafe streets create barriers to attending school. Children miss school because they have no place to walk. For example, their parents might not be able to drive them to school. When the neighborhood has no sidewalks, children may stay home instead of going to school. They have no safe route to school. Another great program is Oregon Walkways. 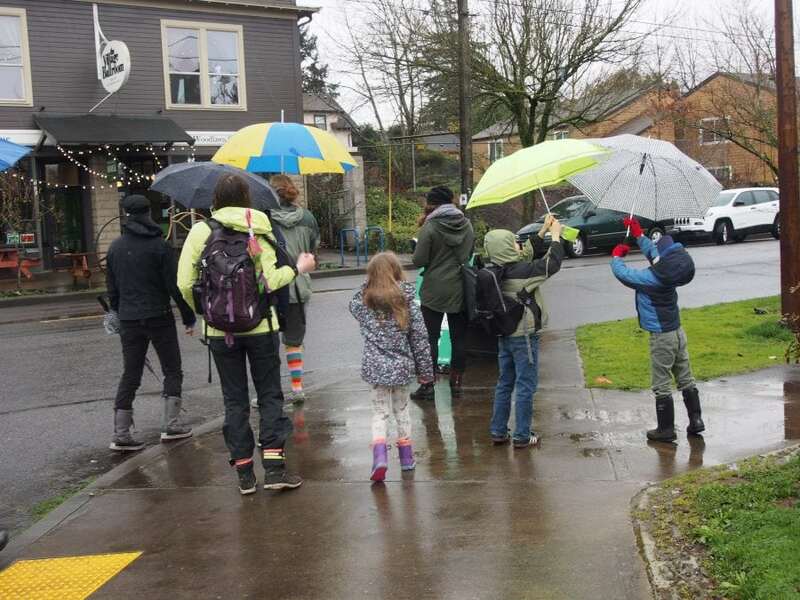 Similar to the very successful Neighborhood Greenways project, Oregon Walkways opens a street for the day for walking. 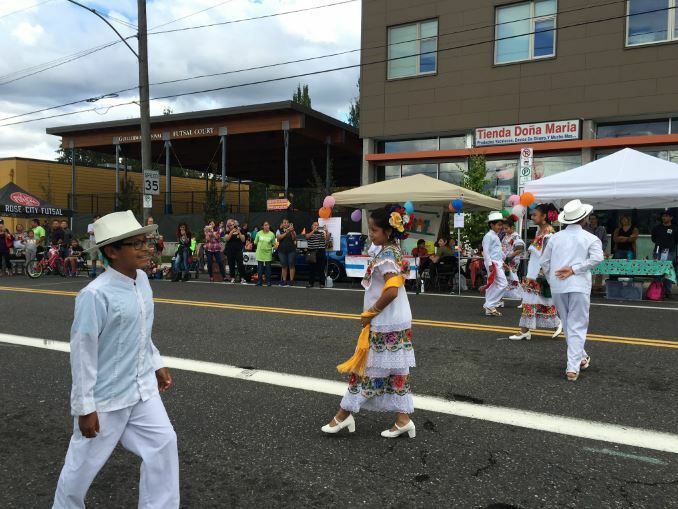 This year’s event is on August 6 in Lents. During the event, visitors can explore the neighborhood on foot without worrying about cars. Local vendors and businesses will be present, and the event will coincide with the Lents Street Fair. What a perfect opportunity to learn about this vibrant neighborhood! I believe you truly get to know a place when you explore on foot. Yet another series of events Oregon Walks hosts is Walktober, or known this year as Steptember. During this month-long event, local residents can post their hosted walks on a special calendar of events. Think Pedalpalooza for walking. It’s a great opportunity to walk a new part of the city while also meeting some of your neighbors. I participated in this event last year, and I had a wonderful time. You may have noticed that Portland is growing. We see construction sites all across the city. Although you may not have noticed closed sidewalks or bike paths, Oregon Walks paid attention. Along with The Street Trust, they recently launched Vision Zero Work Zones. This project is crowd sourcing your reactions to sidewalk and bike path closures in construction zones in the city. First, you post a picture on Instagram or Twitter with the hashtag #workzoneWTF. Then, you share your location and explain your reaction. Now, the City of Portland has created its first set of work zone rules for sidewalks and bike paths. Success! Oregon Walks has been keeping Oregon and Portland walkable since 1991. Originally an all-volunteer organization until 2009, Oregon Walks now has three staff. These three dedicated people accomplish a lot on their own, but they need additional help. Thankfully, you have many opportunities to volunteer. For example, you can help out with safe routes to school. Or, you can participate in one of their committees. You can learn more about the volunteer opportunities on their website. Discounts to Oregon Walks events. 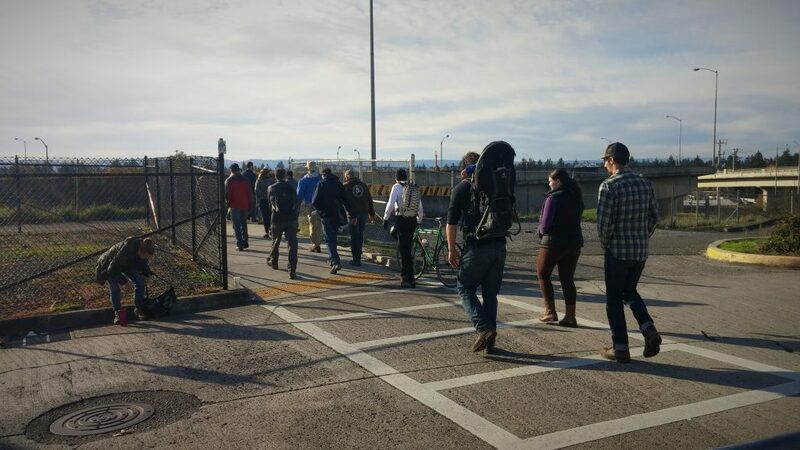 Special members-only Oregon Walks events. Eligibility to vote and to run for a position on the board. Updates about Oregon Walks members. Subscription to the Oregon Walks Newsletter. If you join this month, you’ll be able to attend the special preview of Citizen Jane, Battle for the City. Oregon Walks also hosts the Weston Awards each year, which is their main fundraising event. When I asked about the name of the event, I learned about Edward Weston. Apparently, Mr. Weston walked from Boston to Washington DC and attended President Lincoln’s inaugural ball. Each year, Oregon Walks honors Walk Stars from Oregon. Walk Stars are individuals who are Oregon walking heroes. I can’t wait to see who they honor this year. I thoroughly enjoyed meeting Inna Levin and Noel Mickelberrry from Oregon Walks. Without a doubt, these two Walk Stars and the team at Oregon Walks are making our streets safer for walking. I strongly urge you to support Oregon Walks anyway you can to help keep Portland walkable. Become a member, attend an event, or simply share their story. You can learn more about Oregon Walks at its website.